Children are taught skills in everything from math to soccer—why not friendship! The Bible gives us principles to follow in making friends and being a friend. You can make your students aware of important verses, provide examples and encourage them to choose friends who will enrich their walk with God. God tells us that choosing wise friends (those who follow Him) makes us wise but choosing foolish friends (those who go their own way) will bring us trouble (Prov. 13:20). Make sure your students know why it is wise to choose friends who follow God; then point out the following areas in which they can grow in wisdom. Friends learn from each other (Prov. 27:17). Solomon gave us a word picture about friends. Bring a sharpening stone and knife to class to show how iron sharpens iron. Like the stone sharpens the knife friends can “sharpen” each other. 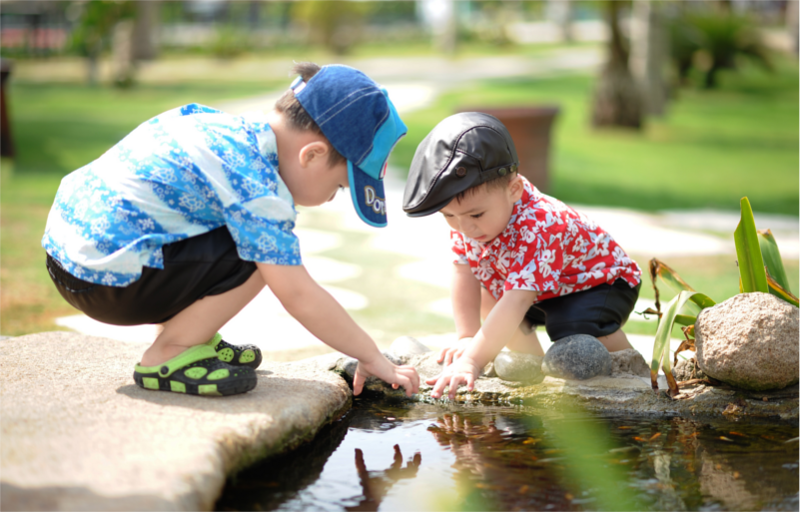 A child may help a friend learn a memory verse, a sports skill or a math concept. And his friend can help him learn things too. Friends can encourage each other to do what’s right. Have your class role play the story of Shadrach, Meshach and Abednego. Reinforce the principle of standing together with other Christians to give each other courage. Ask, “What if only one of the friends had refused to bow down to the idol? Why is it easier to do what is right when your friends agree with you?” Friends can help each other decide what to do in a tough situation (Prov. 27:9). Children may struggle with school work or the neighborhood bully. Sometimes just talking about a problem with a friend can help a child decide what to do. Getting adult help when necessary is also a way to show a friend he cares. Use the acronym SHARE to teach children to be a friend who honors God. Honoring your friend is putting his needs before your own (Phil. 2:3). To honor a friend is to care about him at all times—not only when he invites you to the water park or shares his candy. (This is another characteristic from Ephesians 4:32.) To forgive means not to be angry anymore and not to take revenge. This is hard to do when someone hurts you but Jesus is our example and He gives us strength to forgive (Phil. 4:13). (Show how one piece of string can be easily broken but three woven together cannot.) One person can have difficulty making a right choice but when two friends stand with him the choice is easier (Eccl. 4:12). Making good friends and learning to be a good friend are keys to spiritual growth you can give your students. He who walks with the wise grows wise, but a companion of fools suffers harm” (Prov. 13:20).